Edinburgh is a wonderful city to visit at any time of year and the Scottish capital has much to offer tourists. The weather is best during the summer months, and this is a particularly popular time, although the city does not really have an 'off-season', with many popular festivals throughout the year, including the International Science Festival in April, and in August, the Edinburgh Military Tattoo, the Fringe Festival, the Edinburgh International Festival, the International Film Festival and the Book Festival. The city is even busy throughout the winter, when the weather is at its coldest. Many people travel in December to enjoy the Christmas festivities and Edinburgh's exceptional decorations, to do their Christmas shopping in the city's large shopping centre, and of course, to celebrate Hogmanay (the New Year). Edinburgh is at its quietest from January to mid-March and this is probably the only time when hotels reduce their prices and hotel rates to attract more tourists to the city. There are a number of tourism and tourist information offices and outlets throughout Edinburgh and these provide useful tourist information, such as brochures, maps, attractions information, opening hours, directions and general Edinburgh tourist information. The main tourism and tourist information office in Edinburgh is situated in Princes Street, in the New Town area of Edinburgh. 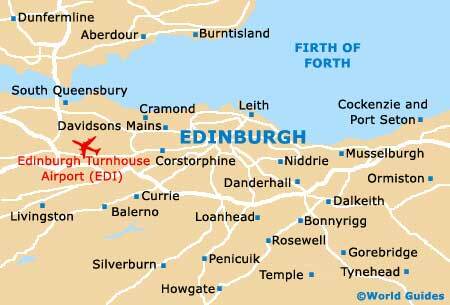 There is also a useful tourist information desk available at Edinburgh Airport. 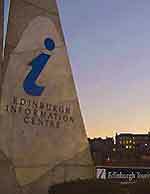 The Edinburgh and Lothians Tourist Information Centre provides an extensive range of services, including a ticketing service for Edinburgh theatres, a bureau de change, travel information, maps, tourist attraction leaflets, Edinburgh festival information and general Edinburgh tourism and tourist information. As in any large city, always maintain an awareness of your surroundings in Edinburgh and try to blend in and not look like a tourist when visiting Edinburgh. Although crime levels in Edinburgh are fairly low, look like you know where you are going and be particularly careful with hand baggage. Wear a bag or camera across your body, or even consider using a concealed money belt. The diverse city of Edinburgh is home to a large number of different cultures and most religions have a presence. Many of the churches in Edinburgh belong to the Anglican faith, although all faiths are always welcome. Newspapers generally list times of services for the main denominations. Edinburgh contains numerous cathedrals, chapels, mosques, temples, Buddhist centres and synagogues. Most pharmacies in Edinburgh are open from at least 09:00 until around 18:00 and supermarkets often have in-store chemists. Edinburgh drugstores will usually open until 18:00, although some may stay open until later, and these usually have a pharmacy counter for dispensing prescriptions. Drugstores in Edinburgh are like mini-supermarkets, with a wide range of products on sale. English is the most commonly spoken language in the Edinburgh and the United Kingdom, although regional Scottish dialects can vary greatly and some Scottish accents can be very strong. There are many ways to say the same thing in the English language, so, in most cases, don't worry about trying to think of an alternative. Tipping in Edinburgh is quite discretionary, with Edinburgh taxi drivers usually being given a 10% gratuity or thereabouts - although this is not essential. Edinburgh restaurants often include service charges and these are always clearly stated on the menus, otherwise a gratuity of around 10% is usually expected in recognition of prompt and courteous service. Hotel staff in Edinburgh, such as luggage handlers, happily accept a tip of one or two pounds. Generally, no other public service workers in the Edinburgh area expect tips. In many buildings and on public transport in Edinburgh, rules restrict smoking and this is usually indicated by no-smoking symbols in prominent places. Most pubs and bars in Edinburgh welcome customers who wish to relax with a drink and smoke, although many tend to cater for smokers in different areas. Smoking in Edinburgh, and England as a whole, is not as fashionable as it once was, so it is always worth exercising discretion and sensitivity when selecting a place in which to smoke, although in general, smoking is more permissible in Edinburgh than many other parts of the United Kingdom. The best advice would be not to smoke unless others around you do so. 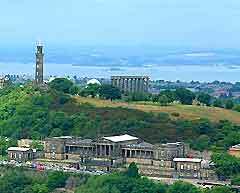 Edinburgh is now home to four universities (Edinburgh, Heriot Watt, Napier and Queen Margaret), although the University of Edinburgh is still classed as Edinburgh's main university. Much business is done over the dinner table in Edinburgh and business lunches frequently take place at central Edinburgh restaurants recommended by your host. In most good Edinburgh restaurants there will be a comprehensive wine / beer list and tables usually need to be booked in advance. Business dinners in Edinburgh are also often conducted at home and these tend to be less formal affairs, with a pre-arranged time for arrival about half an hour before dinner is served. Although guests are not expected to arrive bearing gifts, a bottle of wine or flowers are very much appreciated and should be presented upon arrival. Social dinners are rarely formal affairs and guests will be encouraged to relax. The British love pubs for their informality and social atmosphere. Pubs and wine bars in Edinburgh are most often places to meet and be seen, though each has its own standing in the local community, with some being frequented by business people, locals, celebrities and others by visitors and tourists. Most pubs and wine bars in Edinburgh are friendly places - if there is a good mix of people you can be sure that it is a good pub, otherwise, just close the door and find another nearby. One of the most common social customs associated with drinking in pubs is that of buying a 'round' of drinks when drinking socially with a group. Members of the group take their turn, in no particular order, and as people's glasses empty it is a good idea to reciprocate and offer to buy the next round. The belief that the British drink nothing but tea is today very much a myth. Many love drinking coffee, especially from the countless popular coffee shops in Edinburgh that have opened in recent years.